Regarding the display of the phone, the phone offers 5.0 inches with a resolution of 720×1280 pixels. For better performance, the phone include quad-core 1.2 GHz processor with 2 GB RAM. The version of software installed on it is Android 4.4 powered by 2500 mAh battery to increase the stability of the phone. regarding the camera, the phone include 8MP Primary camera and 5MP secondary camera for selfies. The connectivity medium include WLAN, Bluetooth, GPS and Radio. The sensor on the phone include compass/magnetometer, proximity sensor, Accelerometer and Ambient light sensor. 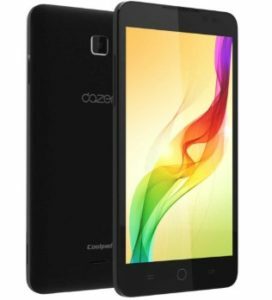 The price of Coolpad Dazen 1 in India starts from 6,499.